You can display the paths that the kaiju walk. To turn on this feature go to the options menu and tick 'Show Paths'. A path will then be shown every time a new wave of kaiju spawn. To show the paths again press 'tab' on keyboard or 'LB' on gamepad. To place survivor inside a turret you need to open the turret menu by selecting a turret (left click or 'A' on gamepad). 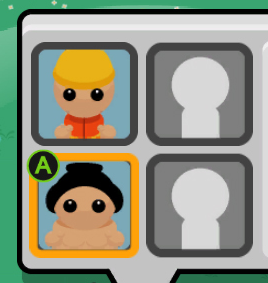 You can then highlight an empty slot and fill it with the selected survivor (left click or 'A' on gamepad). 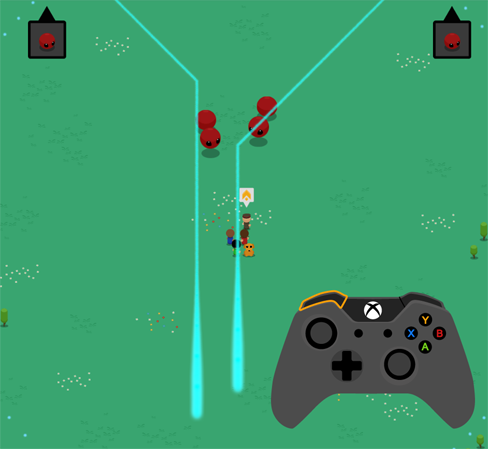 To cycle through the different survivors in your party you can use the mouse's scroll wheel or using a gamepad point the left stick towards the outside edge. In the bottom left hand corner you will see the quick fill menu. This menu allows you to quickly and automatically fill a turret with your survivors based on their stats. Debuff – To auto fill for maximum fire and acid damage press left on the D-pad or press '2' on keyboard. Power – To auto fill for the maximum damage output press right on the D-pad or press '3' on keyboard. Empty – To take out all survivors from a turret press down on the D-pad or '4' on keyboard. Range – Allows your turret to fire further. Fire rate – Makes your turret fire faster. Fire damage – Increase to fire damage / Adds fire damage. Acid damage – Increase acid damage / Adds acid damage. Medic – Restores health of injured survivors if in party. Mechanic – Repairs turrets and buildings faster if in party. Builder – Builds turrets faster if in party. If a turret is no longer needed you can sell it for a small resource gain. 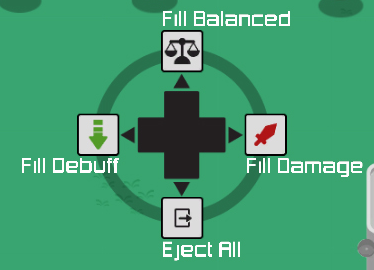 To do this you must select a turret (left click or 'A' on gamepad). 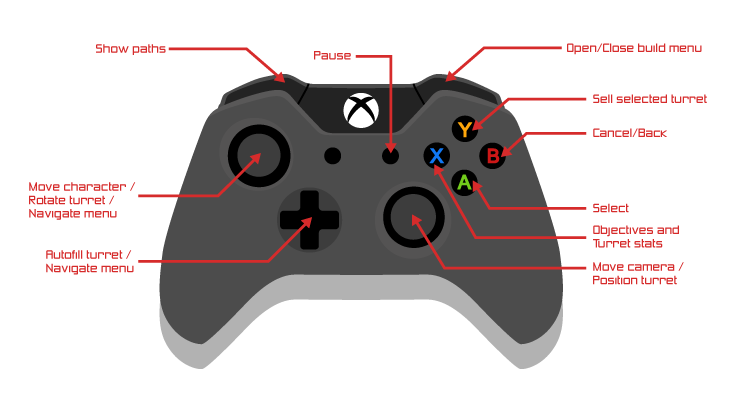 Using keyboard simply click on the bulldozer icon or using gamepad press 'Y'. Evacuation – This icon only appears in end of zone levels. It tells you how many people are required to be placed into the evacuation ship. survivors not placed into the ship will not be counted as rescued. Target – Indicates a particular enemy that must be killed. Build – Indicates a particular turret that must be built. Find – Indicated objects that must be collected. Other – Try and figure it out!